I've been sampling some little mobile time wasters lately. 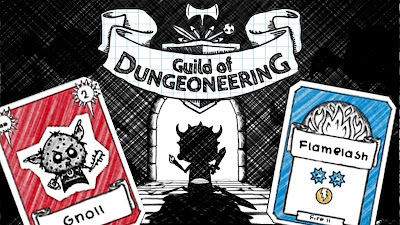 Not many of them have stuck, but I played Guild of Dungeoneering for a long time. It's an interesting mix of roguelike, card based combat, and deckbuilding. It's kind of a weird blend. After a few weeks I'm at the point where I feel like I've seen most permutations but until just now I was having a lot of fun with it. It was totally worth the time and effort. 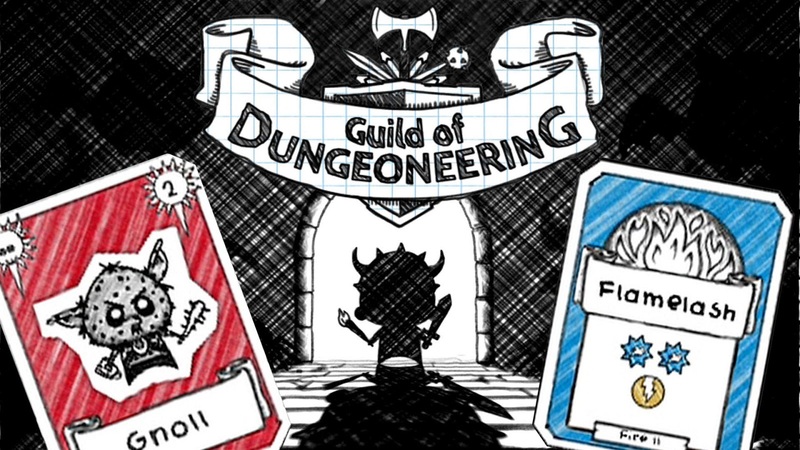 In Guild of Dungeoneering you draw up a hand of cards and use those cards to build a dungeon as you're exploring it. So, you basically set the difficulty level and rewards on the fly based on what you lay down. When you get into combat your currently equipped items determine the cards you have to work with to defeat the enemy. Plus there's a whole other level on top of this one that involves base building and recruiting different characters to go into dungeons. If you ever see this one on sale you should grab it and try it out.